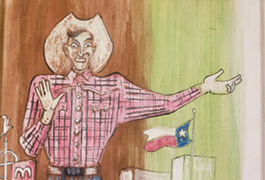 The Otis Dozier Sketchbooks digital collection contains facsimiles of 130 sketchbooks, comprising some 6,400 pages, by the Texas Regionalist artist, Otis Dozier (1905-1987). 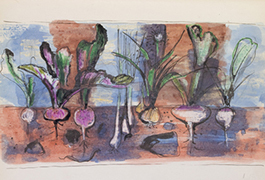 The sketchbooks, which span Dozier's artistic career from the 1930s-1980s, contain drawings on a variety of subjects, including people, plants, animals, and buildings. The digital collection is a joint project between the Dallas Museum of Art, SMU's Bywaters Special Collections, and SMU's norwick Center for Digital Services (nCDS). It is part of a growing number of digital collections from CUL Digital Collections, which contain thousands of digitized photographs, manuscripts, imprints, and works of art held by SMU's Central University Libraries special collections. Six of Dozier’s works were included in 1932’s “Exhibition of Young Dallas Painters”; a number of these artists, including Dozier, Jerry Bywaters, John Douglass, Alexandre Hogue, William Lester, and Everett Spruce, would go on to form such significant local organizations as the Dallas Artists League and the Lone Star Printmakers. Dozier also was represented in the Texas Centennial Exposition’s art exhibit during the summer of 1936. In the summer of 1938, he won a scholarship to the Colorado Springs Fine Arts Center, one of the most renowned art schools in the trans-Mississippi West in the 1930s, where he studied with Boardman Robinson. The next year he became Robinson's assistant, a position he held until 1945. Following his 1940 marriage to Velma Davis, the couple explored much of Colorado, with Dozier producing more than 3,000 sketches of mountains and mining towns in the course of his career. In 1945, the Doziers returned to Dallas at the invitation of Jerry Bywaters, where he taught for a few years at SMU and at the Dallas Museum of Fine Arts School until 1970. Dozier began to develop a semiabstract style, using looser brushwork and more brilliant colors than he had during the Regionalist era. 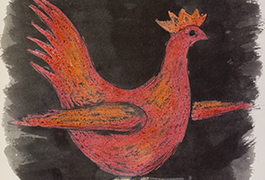 During the 1950s and early 1960s, the Doziers’ international travels prompted him to include Indian and Asian subjects in his work. Although Dozier moved away from the anecdotal subject matter of his 1930s work for several decades, in the final years of his life he returned to childhood roots and early interests, as he again executed depictions of Texas rural life and the natural world. He and Velma Dozier played significant roles in the cultural life of Dallas until their deaths in the late 1980s. 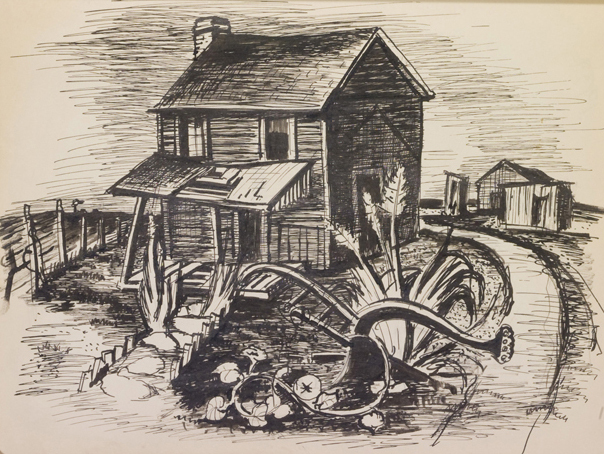 The Dozier Foundation, established after their deaths, donated Otis Dozier’s sketchbooks to the Dallas Museum of Art and the rest of the couple’s papers to SMU’s Hamon Arts Library, where they are held as part of the Bywaters Special Collections. The files in this collection are the copyright property of Denni Davis Washburn, William R. Miegel, and Elizabeth Marie Miegel. The images may be used for educational purposes only, provided they are not altered in any way, and the copyright line is cited. Any commercial reproduction, redistribution, publication, or other use by electronic means or otherwise is prohibited unless pursuant to a written license signed by the copyright holders. For licensing inquiries, please contact rights@dallasmuseumofart.org. 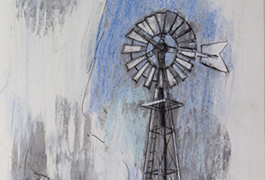 For more information about the Otis Dozier Sketchbooks, please contact the Dallas Museum of Art. 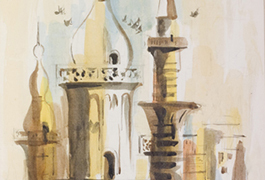 For more information about the Otis Dozier Sketchbooks digital collection, please contact ncds@smu.edu.